especially when traditional medicine has been ineffective. During the study researchers used cancer cells that were resistant to chemotherapy, and dosed the cells with a synthetic form of delta-9 tetrahydrocannabinol (THC), one of the primary compounds found in cannabis. Researchers noted a drastic reduction in the survival rate of the cells that were exposed to the synthetic THC. Although more research is needed, hopefully this study – in addition to numerous others that have been released recently – will pave the way for cannabis being used as a standard – and not alternative – medicine in treating various forms of cancer. My mom has advanced stomach cancer. She will not smoke marijuana so does anyone have any idea what i should get to help her. The state i live in doesnt allow medical marijuana but i would go to the end of the earth to help her. An ideas? Have you asked if she would be open to eating cannabis (like in brownies) or vaporizing (which is not smoking)? It is easy to make your own brownies or to find a vape-pen. Hey Rachel, I just found out my mom has stomach cancer too. If there’s anything you can help me with please do. I am trying to cure by making the oil. But I live in NY. And I don’t know what strain to use and where to get it from . There are certain states in America where this oil is legal. Also have a look at the Rick Simpson cannabis oil site where it will give you instructions for use. Great article.We know it works but we need more of these studies.The link takes you to a page that you need to pay to read the PDF for the study.Is there any way to access it without paying? While I strongly support cannabis research, I should point out an important detail: THC was not used in the study; WIN 55,212-2 was used. 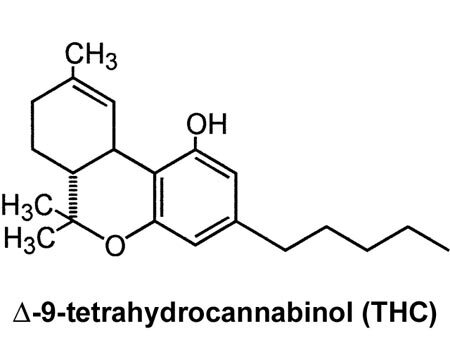 It also a cannabinoid receptor agonist, and often produces the same effects as other cannabinoids. I do have Wa and oregon medical card. I love mainly in wa. I am interested in trying RSO. Daniel,why don’t you make your own RSO.Its not hard if you follow the instructions.You have a medical card so you can get the right starting product which is very important.Educate yourself and make your own medicine.